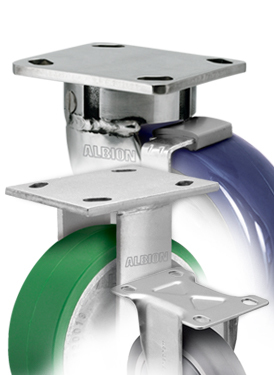 Albion 410 Series are manufactured in St. Joseph, Michigan, and are constructed from high quality heat-treated AISI 1045 laser-cut steel. 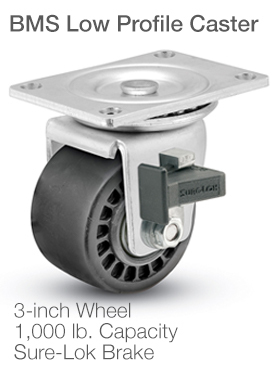 A precision machined raceway combined with fully welded legs (inside and outside) and kingpinless design delivers superior strength in rugged applications. 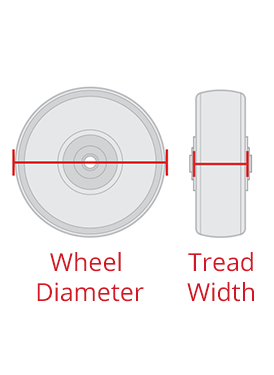 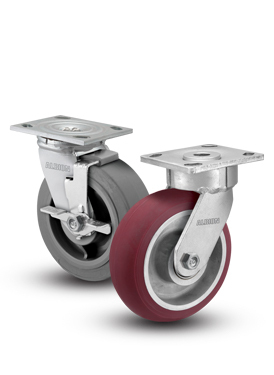 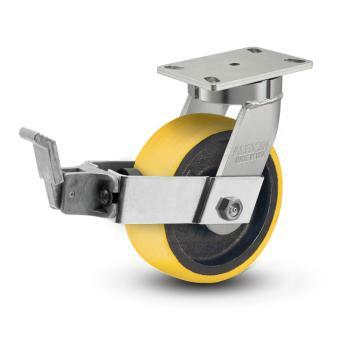 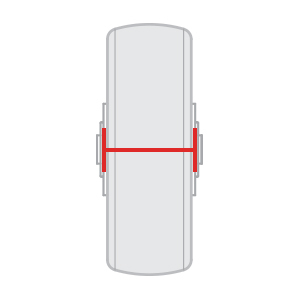 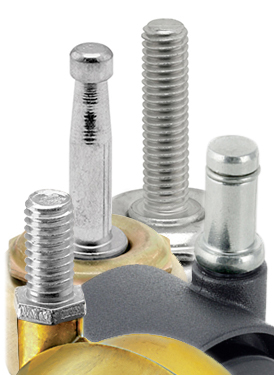 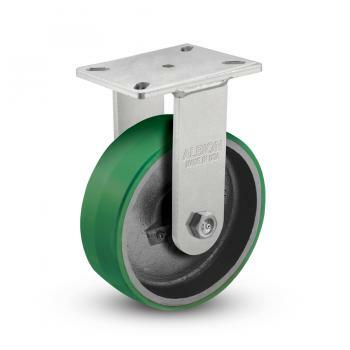 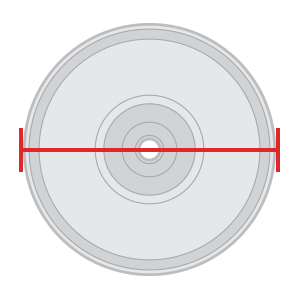 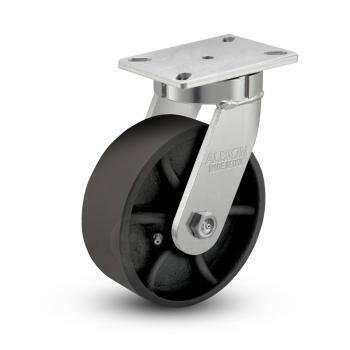 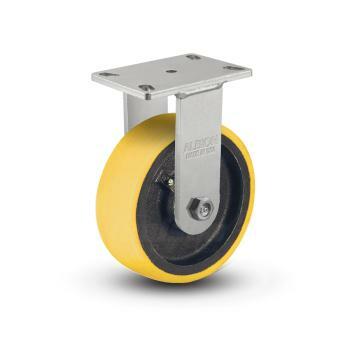 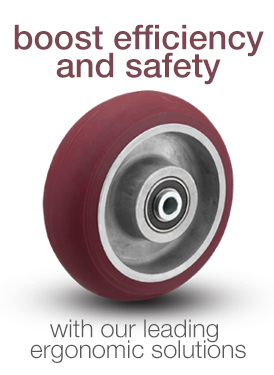 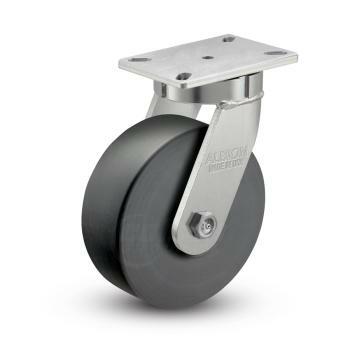 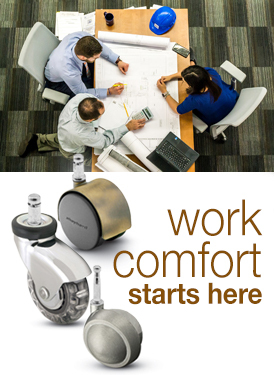 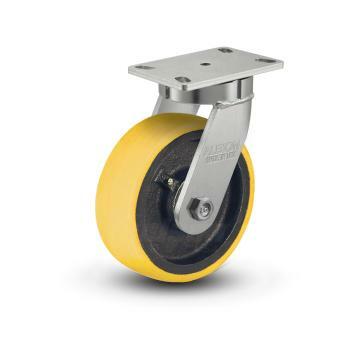 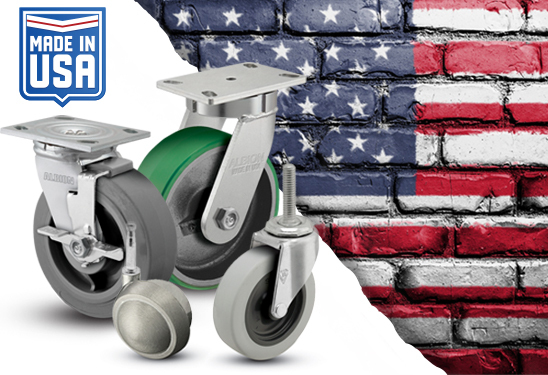 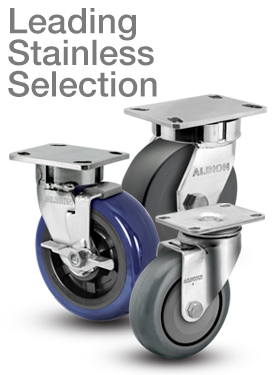 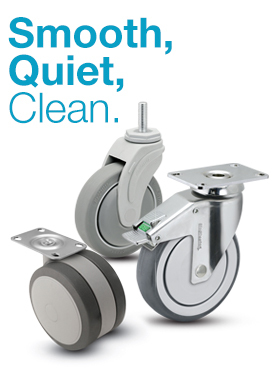 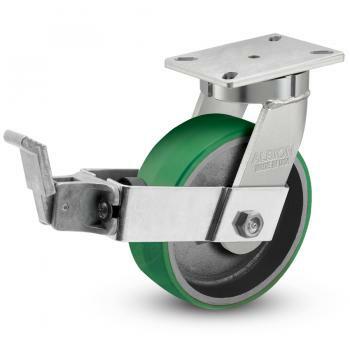 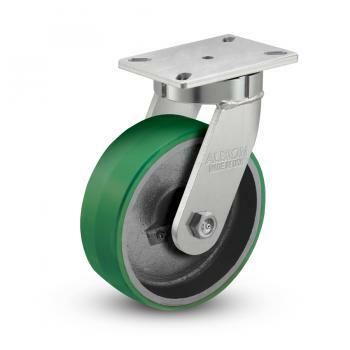 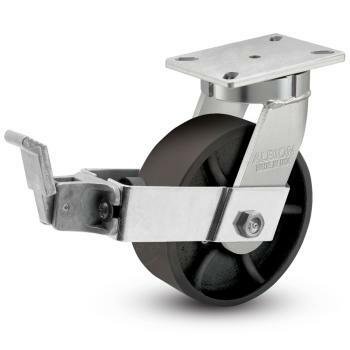 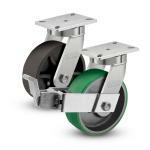 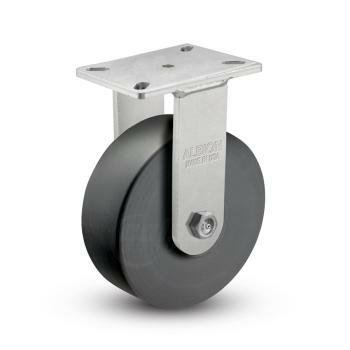 Kingpinless casters eliminate kingpin failure – the leading cause of caster failure. 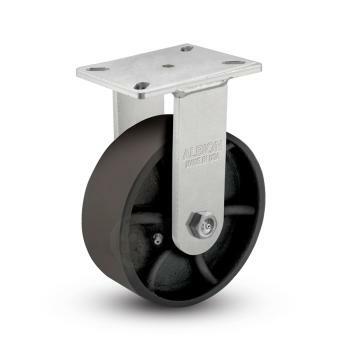 410 Series feature larger top plates and greater weight capacities than our 310 series.